Saving money can be tough for many people however, sometimes compromising can do just that. Read some ways you can save money just by compromising on the little things. Compromise is key for maintaining happy relationships and minimizing stress. However, many compromises have an unexpected financial benefit. These are just some of the money-saving compromises you can make at home. It often seems like no matter how many toys and books your children receive, it’s never enough. They’d love more, but you have your reservations. Buying used toys and books from auction sites like eBay and thrift stores can be a great compromise. The toys and books will still have a novelty value, as your children haven’t had time to be bored by them, but they’ll usually cost at least half the price. As an added bonus, your purchases will be more sustainable than buying new products. Every parent knows the age-old argument we’ll dub the thermostat wars. Kids always seem to want to make their rooms hotter or colder, but you’re reluctant to shift the HVAC temperature. In-room fans and heaters can be an effective way for members of your household to enjoy the temperatures they want without significantly boosting your power bills. Encourage people using these appliances to keep their windows and doors closed for maximum effectiveness. Coffee is life for many moms, but your favorite café lattes add up quickly. Giving them up sounds like a compromise you’d never make, but coffeemakers have a come a long way in recent years. Today they’re making brews that taste every bit as good as the ones you’re your favorite baristas. You don’t even need to leave a tip! Invest in a quality machine and you could easily start saving $30 or more every month. We understand that going out for coffee is a great way to socialize, but there’s nothing stopping you inviting your friends over for a weekend catch-up. You might even have more time for gossiping if their kids and yours can play in your home. You’re dreaming of a tropical getaway in an exotic location, but your other half insists a vacation is out of your budget. That doesn’t mean you need to spend another year stuck at home, though. Save money by compromising on your travel plans. Summer is usually a peak travel period, but you can save money by compromising and traveling in fall or spring. If you time your vacation right, you’ll still enjoy warm weather but it’ll cost you a lot less. Your destination and accommodation type are two more areas where compromise can save you. Instead of the resort, consider an RV park or affordable hotel. Do your research and you can still spend your days by the pool, but you’ll pay a lot less. Tahiti and the Maldives might get your heart racing, but coastal destinations across America, especially those that aren’t well known, can be every bit as beautiful for budget travelers. Don’t think of compromise as giving up on the things you want. Instead, remember it’s often a good way to keep the peace and keep a few extra dollars in your pocket. We do the temperature one. We have ceiling fans and no AC so…. Now we need to work more on the making coffee at home. These are simple and easy ways to budget without having to give up too much. It would be a good way to start. I have done most if not all of these for years. When I was growing up my parents taught me to be frugal and wait until things went on sale or clearance before we purchased anything. These are all great tips for saving money. We do most of these now. 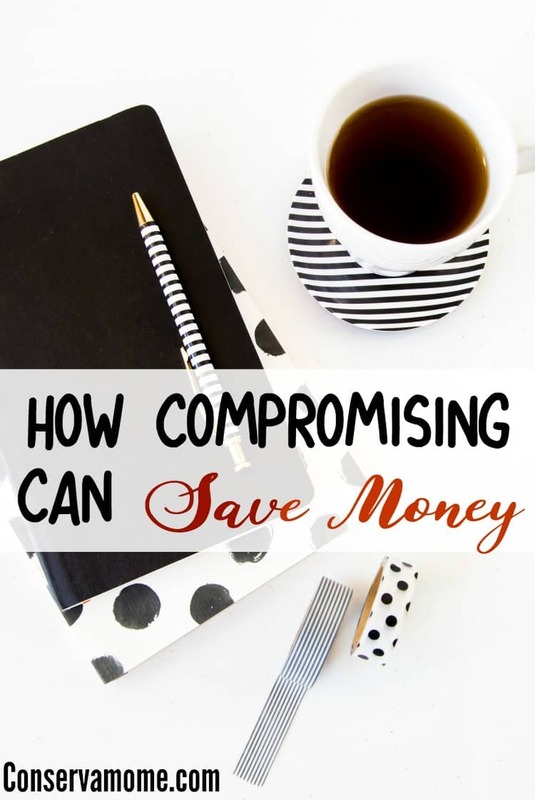 compromising is a very good description of frugality which will leave you with funds and time to do the things you really want to with your family.